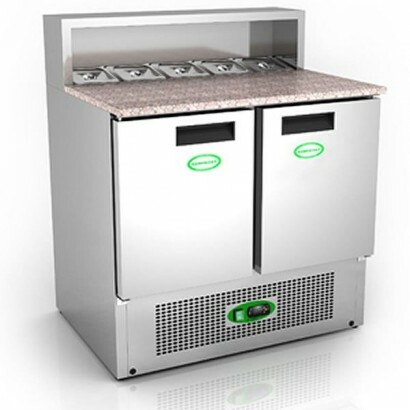 Prep counter and pizza counters are ideal for sandwich shops, takeaways and delicatessens. 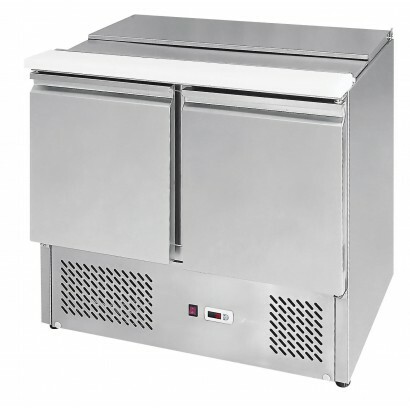 Corr Chilled provide a range of preparation counters from compact two and three door counters, to larger preparation and pizza counters. 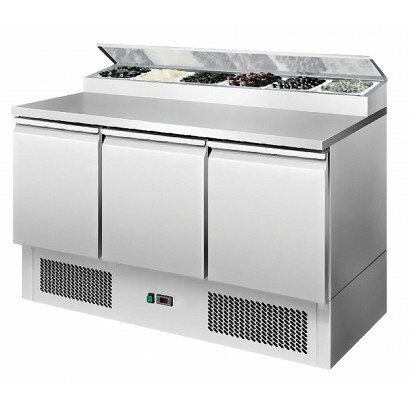 These counters come with granite worktops options and top mounted preps units to maximise work space creating an effective preparation area. 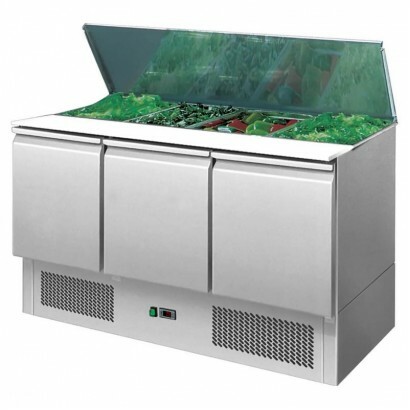 Choose from different prep well options available with boxed surrounds, hinged steel lids or glass canopies. 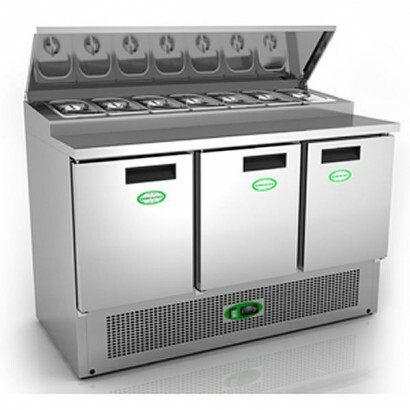 For more details on our fantastic range of counters please visit us online or call the sales office on 0161 442 9174, where a friendly member of staff will be on hand with advice. 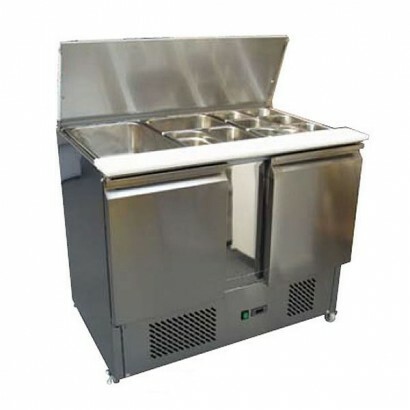 The Genfrost GPZ200 2 door prep counter with raised refrigerated prep top holds five pans in a stain.. 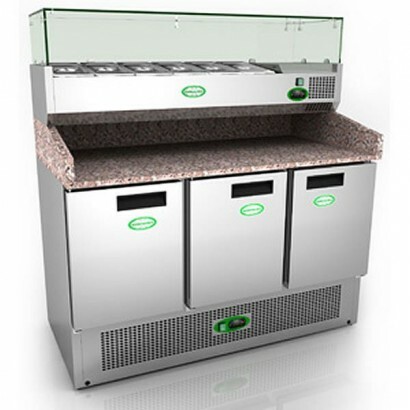 The Interlevin EPI Gastronorm Preparation Counter includes a lovely granite worktop along with digit.. 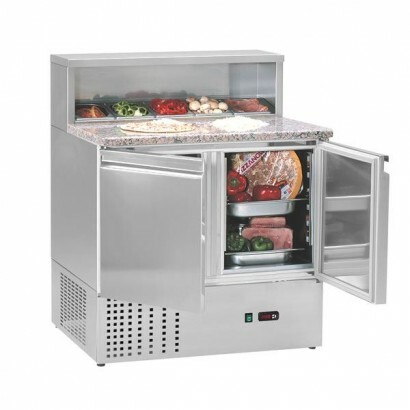 The Tefcold commercial pizza prep counter can fit pizzas of all sizes. 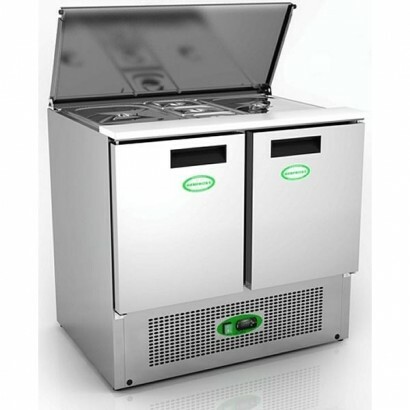 With two refrigerated cupboar.. 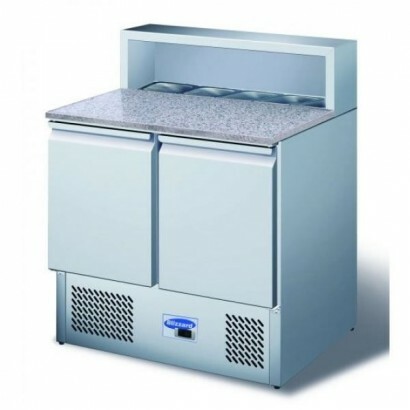 The Blizzard BCC2PREPGRANITE Two Door Prep Counter has a beautiful granite worktop with capacity for.. 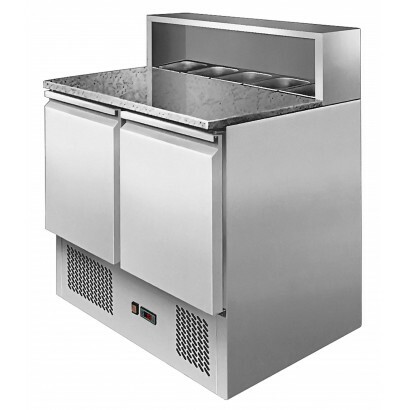 The Blizzard BCC2EN Compact counter with prep top can hold 5 x 1/6 gastronorm pans and has two doors.. 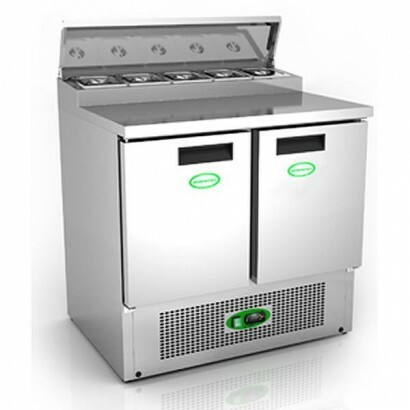 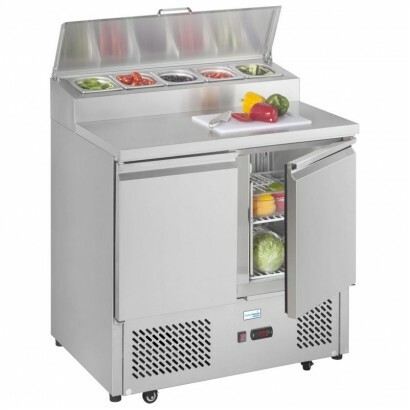 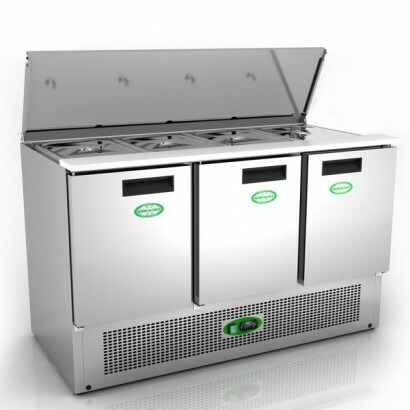 The Genfrost GS903 Three Door Saladette unit both the interior and exterior of the GS903 are built f.. 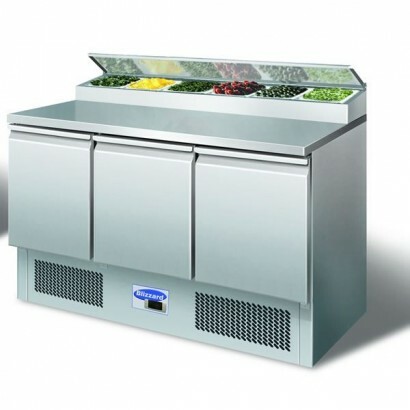 Compact and reliable, the Genfrost GPZ300 3 Door Prep Counter comes with a raised refrigerated colla.. 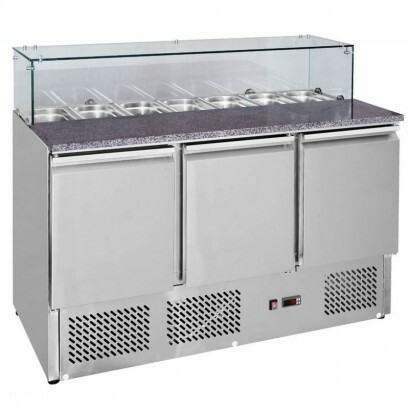 The Blizzard BCC3PREPGRANITE three door pizza prep counter has a granite worktop with capacity for 8.. 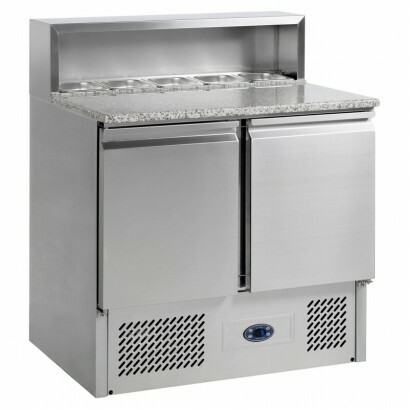 The Blizzard BCC3EN three door compact counter with prep top has a full stainless steel construction.. 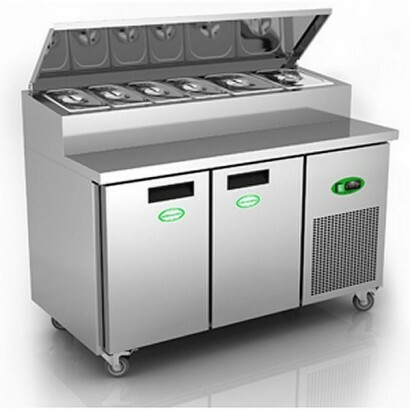 Preparation Counter includes a useful topping shelf with space for seven 1/3 Gastronorm Pans, each 1.. 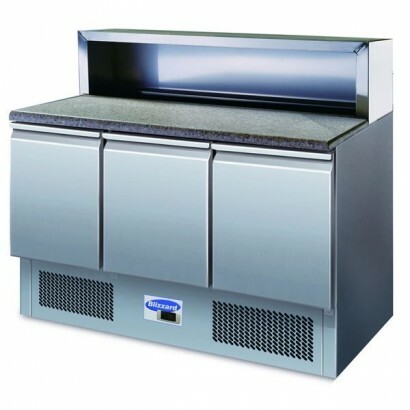 The Genfrost GPR2700 2 Door Prep Counter has a raised refrigerated prep top area for 1/1 gastronorm .. 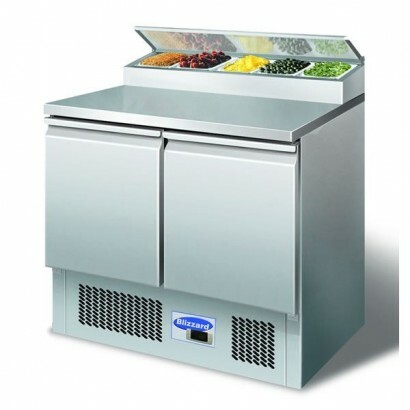 The Genfrost G903PZT 3 Door Pizza Prep Counter has a beautiful granite work top and mounted refriger..